Hemangiomas typically appear soon after birth, grow rapidly during the first year of life (proliferating phase), regress slowly from age 1 to 7 (involutingphase), and there after become a fibrofatty residuum (involuted phase). Hence, the life cycle of hemangioma encompasses both proliferation and regression of blood vessels and, as such, presents a unique model system to study the regulation of angiogenesis. The most common form of hemangioma appears within two weeks after birth, yet some appear fully grown at birth. These "congenital hemangiomas" fall into two subgroups: one group regresses rapidly, within months, whereas the second group fails to involute, suggesting that the life cycle of hemangioma can be compressed or extended. Understanding these variations on the more common form of infantile hemangioma will be fundamental to deciphering the mechanisms that control involution and may eventually pave the way for development of fast-acting therapies that either speed up the involution process or prevent the aberrant growth from occurring in the first place. dramatically during infancy. For these children, the normally benign tumor can be devastating, causing tissue destruction, altering or impairing tissue function, and can become life-threatening. Even a relatively small heman-gioma can cause significant problems for the infant depending on the location. Children with endangering or life-threatening hemangiomas are treated with corticosteroids, surgical resection, or with interferon-a. However, some hemangiomas do not respond to these drug therapies or respond so slowly that it is not clear if the drug accelerated the normal involution process. Furthermore, neurologic toxicity has been associated with interferon-a administration to infants with hemangioma. Huang and colleagues discovered that severe hypothy-roidism can be associated with large hemangiomas . They showed that the likely underlying cause was ectopic expression of type 3 iodothyronine deiodinase (D3) in proliferating hemangiomas. D3 is widely expressed in fetal tissues and some tumors, but after birth, its expression is restricted to placenta and brain. D3 inactivates thyroid hormone and, in the case described by Huang and colleagues, can lead to consumption of therapeutic doses of hormone in a child with a large hemangioma. The impact of hypothyroidism during infancy is severe and irreversible; neurological damage in particular can lead to loss of three to five IQ points per month in children under one year of age with untreated hypothyroidism. Hence, the aberrant proliferation of endothelium that characterizes hemangioma can have deleterious systemic effects for a child in addition to the local tissue destruction. The discovery of hypothyroidism in hemangioma by Huang and colleagues, and subsequent case reports by others, affirms the critical importance of understanding the cellular and molecular alterations in heman-gioma and the need for better fast-acting therapies. Most hemangiomas occur sporadically, with only rare examples of a hereditary predisposition. A large study of identical and fraternal twins, conducted by Cheung and colleagues , found no evidence for Mendelian inheritance, yet the authors speculated that a positive family history could reflect susceptibility to other "factors"—such as environmental or genetic factors—which in turn might lower the threshold for development of hemangiomas. Examples of factors that predispose one to hemangioma are being female (hemangiomas are three times more common in females compared to males), being fair-skinned, and being born prematurely. However, despite the preponderance of sporadic hemangiomas, Marchuk and colleagues reported evidence for inherited hemangiomas in a small number of kindreds in which hemangioma appears to be autosomal dominant . An alternative scenario that could account for familial hemangiomas would be an autosomal recessive mutation, followed by acquisition of a somatic mutation in an endo-thelial cell. This would explain how an inherited mutation that would presumably affect all endothelial cells would only be expressed in a localized fashion. Hemangioma is often used as a generic term and applied to a wide array of vascular neoplasms and even vascular malformations. Examples of vascular tumors that have been called hemangioma are angiosarcoma, Kaposiform hemangioendothelioma, and pyogenic granulomas. Additionally, congenital tumors, such as tufted angioma and heman-giopericytoma, can be confused with hemangioma. Heman-gioma is also a clearly distinct entity from vascular malformations. Several reviews and chapters have been written to clarify and classify human vascular anomalies, including infantile hemangioma, and to establish a logical nomenclature based on clinical features, biological properties, and when possible, molecular markers. In 2000, North and colleagues discovered that infantile hemangiomas could be distinguished from other vascular tumors and vascular malformations with high confidence by immunostaining tissue sections with an anti-glucose transporter-1 (GLUT1) antibody . In a retrospective study, they reported intense endothelial immunoreactivity with anti-GLUT1 antibody in 139 of 143 hemangiomas obtained from infants and young children. 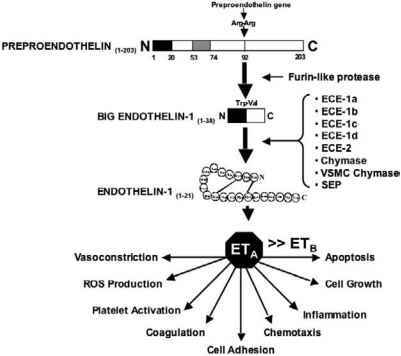 In contrast, endothelial GLUT1 was not detected in vascular malformation specimens, nor pyrogenic granulomas or granulation tissue specimens. Furthermore, GLUT1 was not detected in hemangioendotheliomas, a low-grade malignant endothelial tumor, and only in a few cases of angiosarcoma, a highly aggressive endothelial tumor. In a subsequent study by North and colleagues, GLUT-1 was also not detected in congenital hemangiomas, suggesting a distinct eitiology from the more common form of heman-gioma. Hence, the anti-GLUT1 antibody has proven to be a valuable tool for characterizing hemangiomas among a wide array of vascular tumors.